Healey & Lord Ltd has supplied over 150 bespoke luxury showerheads for the New Build 5 star Waldorf Astoria hotel at Syon Park situated in 200 acres of parkland. 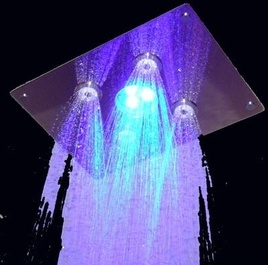 Each showerhead is equipped with 4 LED lights to illuminate the luxury shower drench. After considerable technical adjustments to a prototype model of LED showerhead the Hilton Europe parameters were met and over 150 units were delivered and installed in time for the hotel opening in May 2011.